Yoga is regarded as science as well as a method that allows man to live a harmonious life while favouring his spiritual progress through the control of mind and body. Pranayama not only help one acquire perfect health, stay young and live longer but is designed to develop the inner force that enables us to overcome our failings and withstand stressful situations with serenity. Here, our topic is Pranayama with the concerned title as “Anuloma Viloma Pranayama”. What is Anuloma Viloma Pranayama? Anuloma Viloma Pranayama is also called Nadi Sodhana pranayama or alternate breathing. In Sanskrit, the word ‘nadi‘ signifies a channel; allowing the passage of vital energy of Prana. According to Yoga experience, inhaling by the right nostril produces heat in the body, and inhaling by the left produces cold. That is why, the Yogis call the right nostril “Surya nadi” or sun nostril and the left one as “Chandra Nadi” or moon nostril. Anuloma Viloma pranayama is considered as the easiest pranayama of all and is highly effective too. This is mend for everyone. It cures minor to major; as cough to cancerous kinds of diseases. 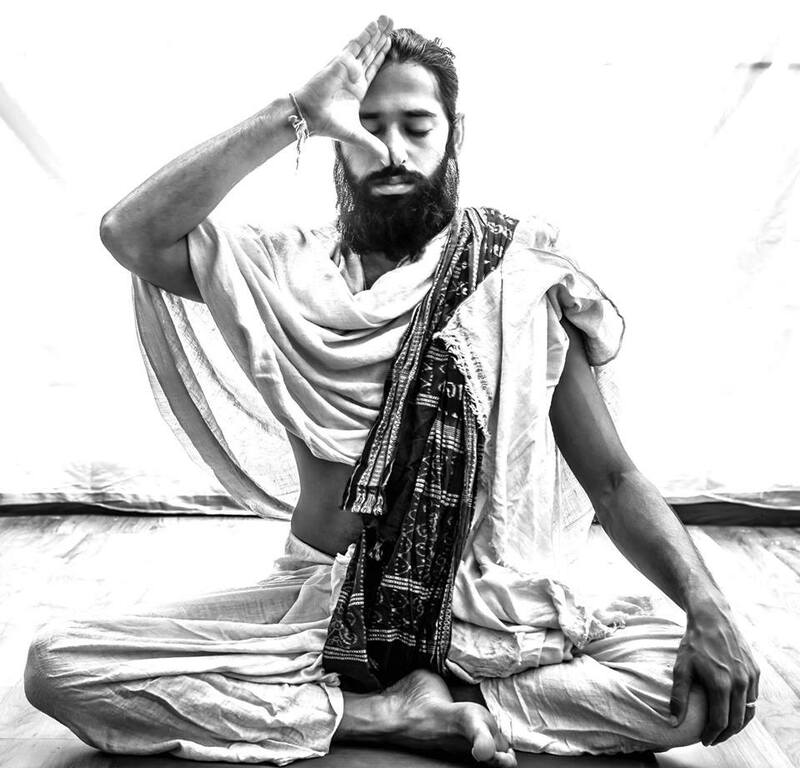 Sit in the Padmasana pose or cross-legged. Place the index finger of right hand in the centre of forehead between the eyebrows. 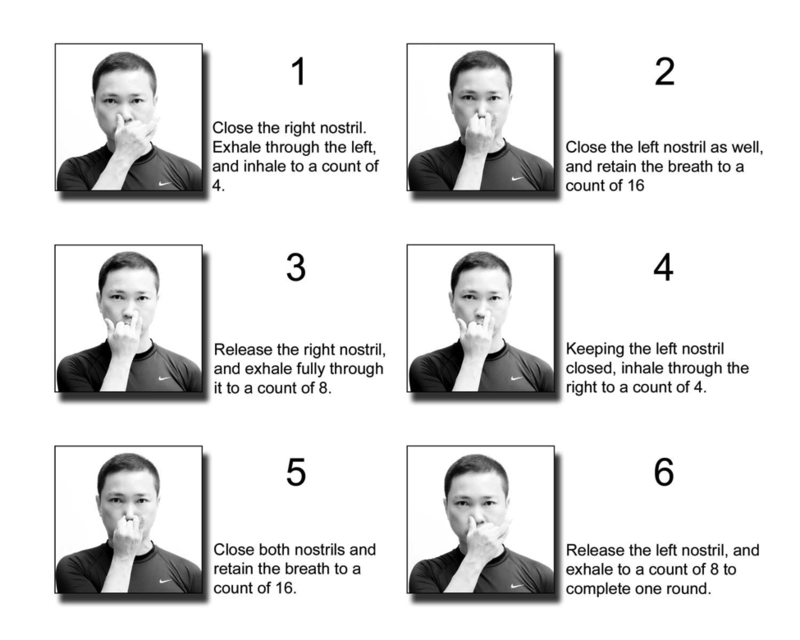 One should begin by exhaling completely; then close the right nostril with the thumb and inhale through the left nostril counting four heartbeats. Hold to a count of sixteen, then open the right nostril while closing the left with middle finger. Exhale through the right nostril to a count of eight beats. Repeat the process for 10-15 times. The timing and duration may change in accordance with climate, any disease or as followed by the Yoga instructor. It strengthens your cardiovascular system and abides all kinds of disorders related to heart. Those who perform this asana with deep lung breathing; never suffers from problems like Asthma, Obesity, Tuberculosis, Bronchitis and many more. The regular practice also aids in migraine pain and depression. It is also good to cure liver diseases. It lights a lamp of confidence and self-enlightenment in your mind and body; making you active and happy. It is excellent for a glowing skin. It helps to prevent diabetes and also helps to balance sugar level in body. It is best to curb growing cancer; especially of first stage in your body. Overall, Anuloma viloma pranayama is best suited to cure-all the diseases and also prevents it. Those suffering from cardiac complaints or problems related to blood pressure should not perform this. Those having weak lungs should not go with this. It should be practised in an empty stomach for better results. Make sure you perform the pranayama 4-5 hours after having the food. Pregnant women should perform this, but straining is not allowed. Better if performed under a Yoga expert. So, in this way we came to know how just a simpler thing can be so beneficial. We have also discussed about Kapalbhati pranayama and Bhastrika Pranayama in our earlier posts. So, go with these and live well! Performing Anuloma Viloma pranayama as described by you is nice. But Baba Ramdeva does not prescriibe ‘Kumbhak’ during anuloma-vilomaa pranayama. why it differs? Thank you for your comment. 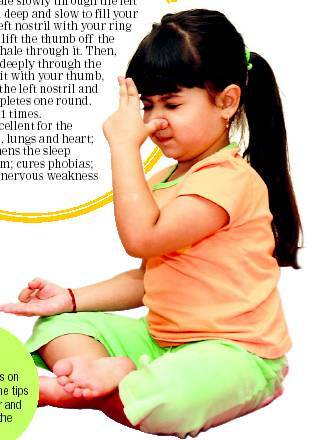 We have suggested ‘Kumbhak’ as it is the process in which inhaled air is restored in stomach for sometimes. In Kumbhak, apart from disease treatment it also increases your potential for self-cure. There are two types of kumbhak but you have emphasized only on aantarik kumbhak while after exhaling baahya kumbhak is also effective. Apart from it, both types of kumbhak give completeness to the above description of performing Anulom Vilom.